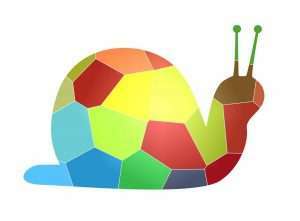 A powerful remedy against slugs and snails is to set up traps. It will not then be necessary to pick up the slugs and snails one by one. It is better not to use traps that will kill them. Instead, you can construct and use traps in which you can catch them alive. 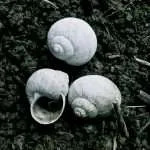 Capturing, collecting and relocating the animals is a cheap and environmentally friendly way to control snail and slug populations. 2 Why are Baits like Beer or Yeast Dangerous? 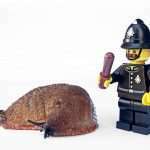 3 Which Baits are Safe to Use to Attract Slugs? 5 What should slug-attractant places look like? 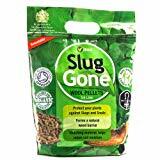 If slugs and snails are destroying your garden, catch them and set them free at a safe distance. The traps have one significant advantage: time-consuming collecting by hand becomes unnecessary. They make it possible for you to collect the pests in groups during the day, meaning that going out late at night or early in the morning on ‘slug watch’ will no longer be necessary. 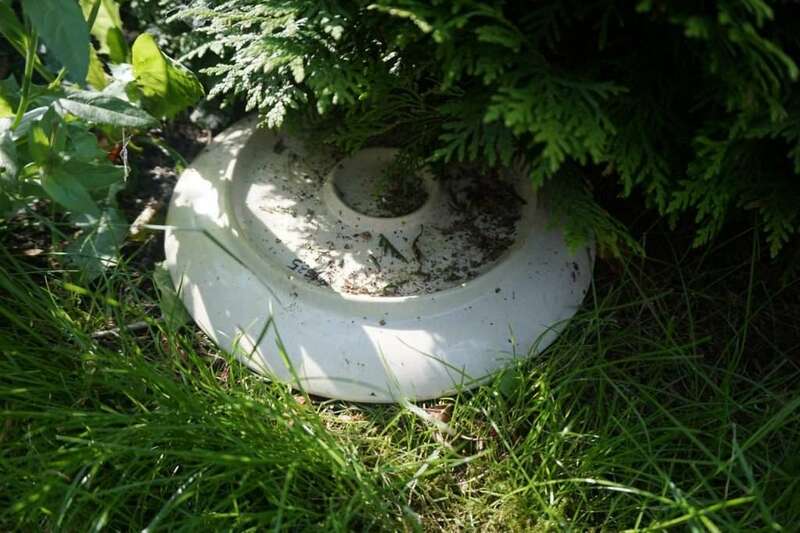 Further points to consider when setting up live slug traps are explained below. Why are Baits like Beer or Yeast Dangerous? Please stay away from beer traps, yeast, and any other potent baits! Many people have suffered a great deal after using beer or yeast to attract and kill slugs. 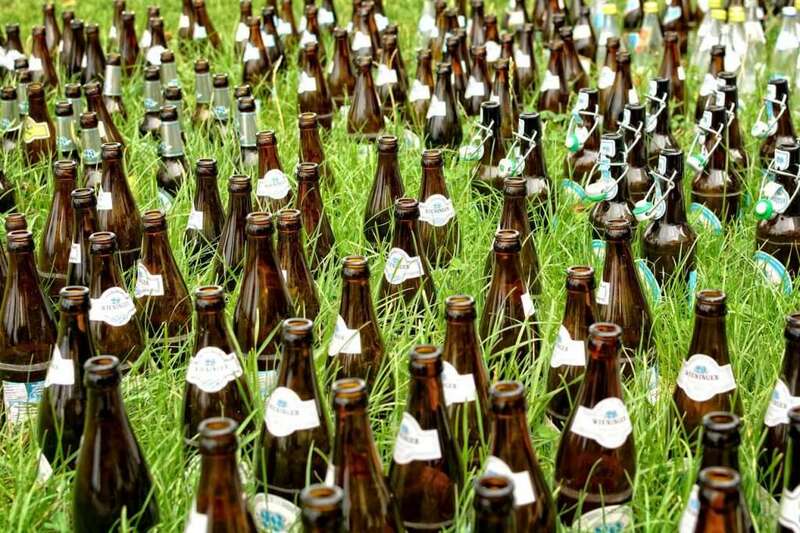 This is because baits such as beer not only attract the pests from around your garden but also from all around your neighborhood. Be aware that beer and yeast can attract them from up to 200 yards (meters) and even farther. Also, not all slugs will die from the alcohol or drown in the beer; as a result, you end up with more slugs in your garden than before. Some people believe it might be possible to use wine, but it is the yeast in the beer that attracts them. In wine, you do not find yeast as you do in beer, so wine as a bait is not an option. If this is the first time you’ve heard about these problems with beer traps and have already tried them, now you know why the method does not work well. There are other reasons why beer traps are not a reliable way to control the slug population. You will find more information here: Beer traps – their risks and dangers. As bait, use plants that slugs love. Which Baits are Safe to Use to Attract Slugs? The best way is to catch the slugs and snails with a weak natural attractant. These natural baits include dead plant parts. You could use these: plants that slugs love. Since harmful slugs – such as the Spanish slug – have a similar taste to humans, you can also use vegetable leftovers from the kitchen. For example, old salad leaves, cucumber or squash are a safe way to attract slugs. Please do not use cooked or spiced foods, otherwise you could attract rats! Cucumber slices, soaked oatmeal, and porridge are good baits, too. Melon or orange peel with some fruit leftovers inside also attract slugs. 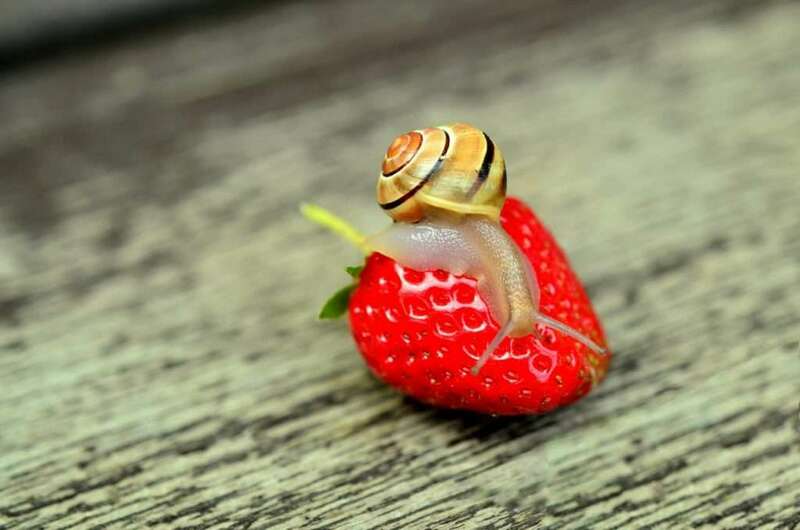 In general, you could observe what preferences your slugs and snails have. If you use several traps in your garden, it is easy to study how attractive different baits are. A simple plate in the right spot can attract a lot of slugs and snails. Live traps: These are traps that slugs and snails can enter but not leave. In contrast to beer traps, in which the snails could die, these traps just capture them. The second option is to create places where they like to hide during the day. You can collect them from there in the evening before they come out. Finally, it is possible to create a bed in the garden with many plants that are loved by slugs. There they will gather, and you can quickly pick them up. 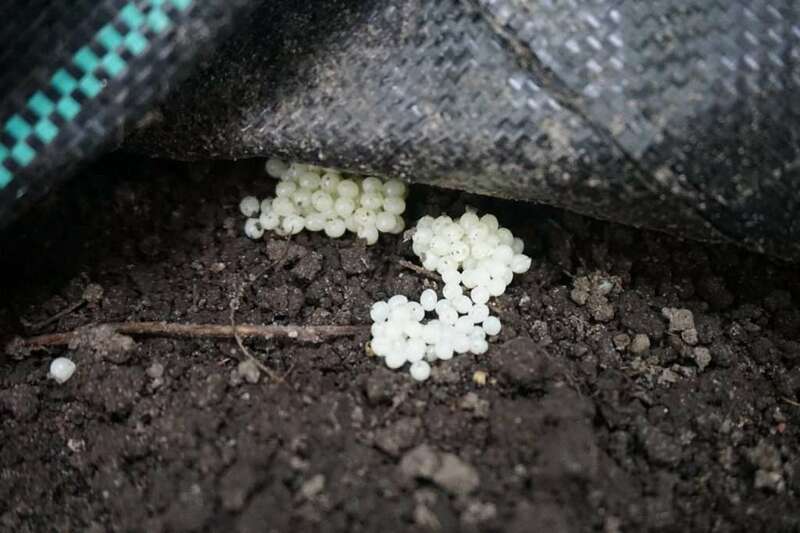 What should slug-attractant places look like? An excellent example of a place that slugs like is compost. 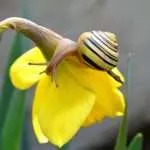 As a gardener, you probably know that slugs and snails like to hang out there because it is made of one of their favorite food sources: dead plant remains. 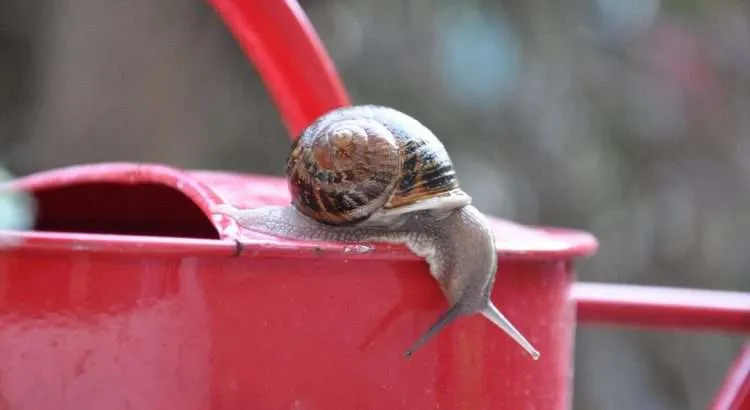 You can also often find slugs and snails under flowerpots or buckets made of clay, terracotta or plastic – as seen in the video. They hide underneath during the day because it is wet and dark – two conditions they prefer. There they are safe from predators – such as birds – and they cannot dry out. It is easy, therefore, to create these conditions in various places around your garden and to collect them there before night-time. It then becomes unnecessary to search for them in the dark or the early morning. If you put these four conditions together, you have created a place where slugs like to spend their day. These spots should be as dark as possible and provide enough room for slugs and snails to slip underneath. Next to, on top of or beneath the hiding place you can put a natural attractant as described above. Weeded-out plants can also be useful for this purpose. All you then need is patience, and soon the first snails will arrive. In the late afternoon or early evening, before they come out, they can be collected and relocated at least a few miles/km away. 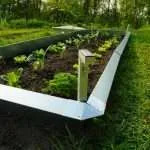 You could place these trapping points in strategic areas around your garden beds. 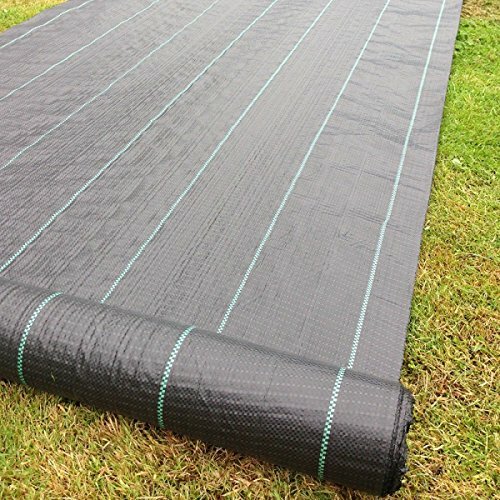 Garden fabric will attract slugs: Clicking on the image leads to price info on Amazon. Live traps (non-deadly traps) are a possible alternative and are easy to use. However, they can become dangerous if misused. 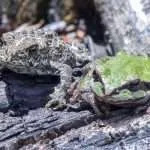 On the one hand, they could be filled with strong attractants, and on the other, they could be forgotten and then fill themselves with strong attractants – namely dead slugs. 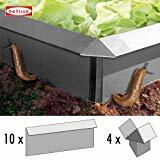 If captured slugs die inside your trap, they will create a smell that attracts conspecifics magically over far distances – be aware that slugs are cannibals. I therefore recommend checking slug traps daily. 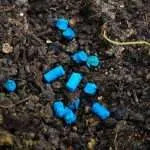 If baits are used, there is always the danger that they could attract even more pests into the garden. So, it is essential to use a means that attracts them only from the surrounding area. As mentioned above, oatmeal, salad leaves or even strawberries are a good choice. Strong attractants should only be used to lure slugs out of the garden. For example, if the garden is next to a forest or a meadow, you could place some yeast there and, in this way, invite the pests to leave. The advantage of live traps is that they also work at night. Natural attraction points are not safe at night, and the slugs will leave when they feel like it. The beauty of traps is that you save yourself a lot of time and work. 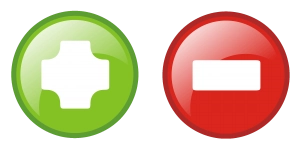 The danger is that you could hurt yourself: Harm set – harm get! But if you are aware of the dangers of using baits, you can avoid them and learn a more mindful way of trapping snails. You can do it yourself with simple means and with proper use you do not have to fear any unwanted side effects. The slug population can be reduced, and you do not waste time searching for the slugs, which could be tedious and time-consuming. 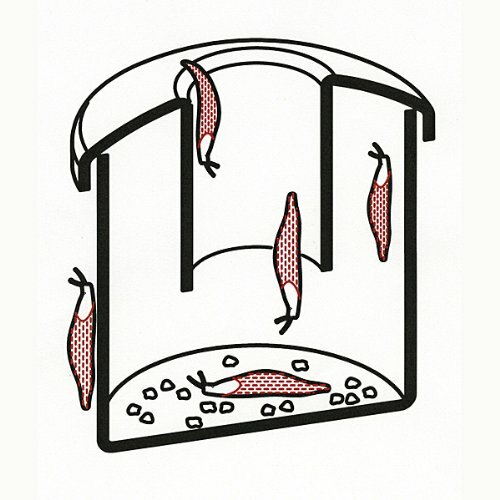 Slug live trap design. Clicking on the image leads to price information on Amazon. Snails that do not show themselves during the day can be caught with live traps. As a result, the pests slowly but surely decrease, and a population boom can be prevented or reduced. To my knowledge, there is as yet only one live trap for slugs available. The trap provides a mechanism that is supposed to let snails in but not out. I tested the trap to find out if it really works. The test showed that the trap works better than expected. Although some slugs and snails may find their way out, most of them are trapped successfully. To make it slug-proof you could put copper tape or slug deterrent paint on the inside. 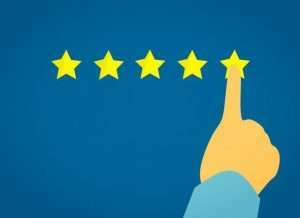 Click on the link and check prices on Amazon. The trap has a simple design and you might be able to rebuild it easily with suitable materials. In general, it is crucial to attract the enemies of slugs and snails.